At a very early stage in my career as a soldier, I had amassed a very comprehensive collection of classical war literature: Sun Tzu, du Picq, the Brodies, Ropp, Earle, Liddell-Hart, Keegan, Taylor, and more, spanning more than two-and-one-half millenia. I thought I knew what war had been, was now and might be. Nearly half a century later, I have them all still on my shelves, and have often referred to several of them in these pages. I have never read a book about peace, and I don’t actually know much about it. So the arrival of this book for this review was, for me, timely. Perhaps for you as well? What is peace? Is it merely the absence of war? Or is it the absence of violent conflict? Was the period between the two World Wars a peace? Is scale involved, that is to say, was the NATO-led action in Serbia and in Bosnia-Hercegovina in 1999 a war (it is commonly called one)? Can we have peace without justice, or must those responsible for unjust wars be pursued beyond the cessation of hostilities? And is there such a thing as a just war? 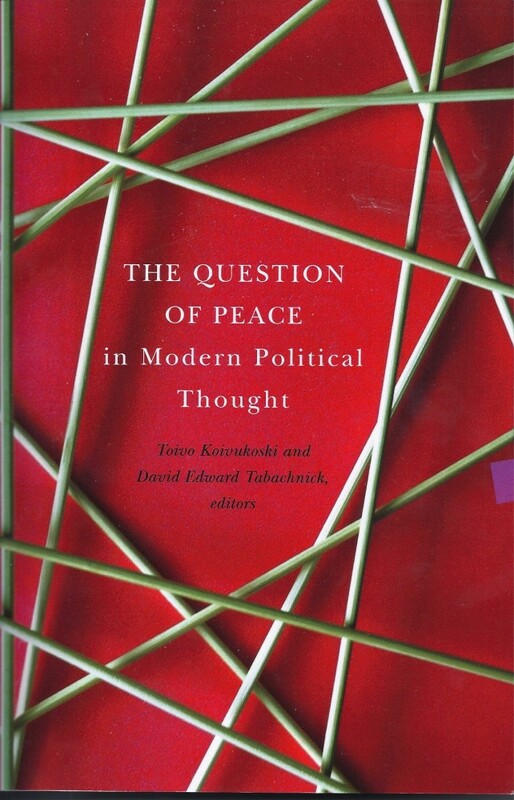 I think we need some answers to these questions and more, and I hoped this book would help me to understand peace at least as well as I once thought I understood war.